Putrajaya, just outside the Malaysian capital of Kuala Lumpur, and bordering on Malaysia's Silicon Valley of Cyberjaya, is designed as an intelligent Cyber-city and is the new federal government administrative centre. Designed as a model city, it is a thoroughly modern township displaying the best of Malaysian design and architecture in an environmentally-friendly setting of beautifully landscaped lakes and parks. 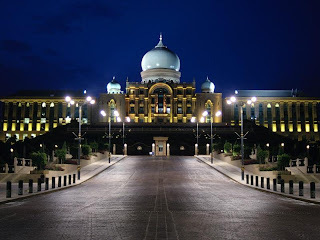 Putrajaya encompasses the dual concept of intelligent city and garden city. In keeping with this, 38% of the land area is devoted to parks, lakes and wetlands. The latter provides interesting getaways for visitors and an opportunity to learn about the country's diversified tropical flora and fauna. 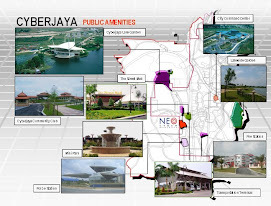 The urban areas in Putrajaya City are divided into precincts and are devoted to government offices, commercial, residential and recreational facilities. The buildings in the government precinct feature smart building concepts with computerised utilities and amenities.